job both for the workers and for the employer. so it is about protecting the company's most valuable assets. personal protective equipment necessary to protect their workers. 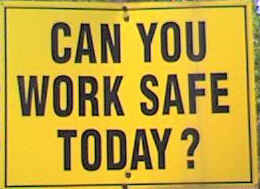 look out for your own safety as well as that of your coworkers. the like, report it immediately to the appropriate superior. this life, care for and protect it. whatever is necessary to prevent such hazards.